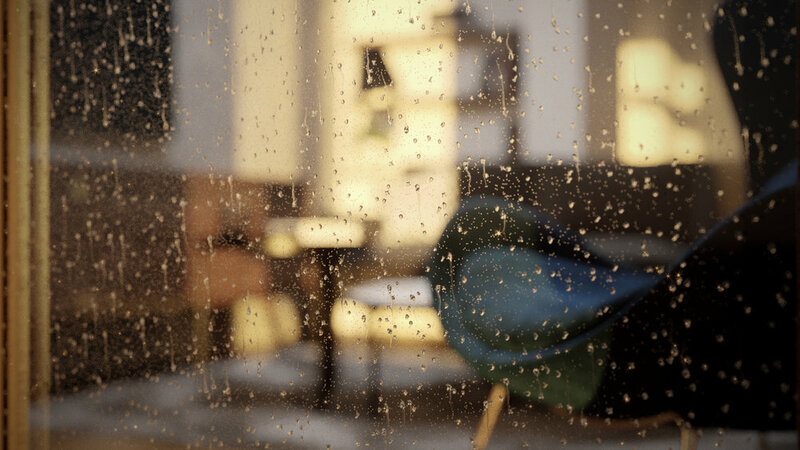 I would like to share with you a short tutorial on how to make a rainy window in 3ds Max using Corona scatter. It pretty easy and the result looks nice! So you basically need two things - the droplets and a surface to scatter the droplets on. In this case, the surface is your window plane. First i found some reference image of rainy window for better imagination, and then i made a few different shapes of droplets in 3 different groups and sizes. Create Corona Scatter for every one of the groups. In the Objects rollout, Include your window plane in the Distribute on object slot, and include your droplets in the Instanced object slot. Play with the parameters count, density. scale and rotation. It requires a little bit of tweeking in order to make the result look nice and realistic. Don't forget to lower down the percentage of displayed drops, otherwise your viewport preview slowers down. Tip: It is possible to play with the distribution of droplets, using different Maps, (noise map or cellular map works fine) or also by using vertex color. Just drag and drop your map into Map: slot, located in Scattering rollout. Create new Target Camera, turn on the depth o field ( bladed shape) in Render Setup, set the target distance according the object you want to focus on, apply Corona Camera Modifier, play a little bit with f-stop number, and you are ready to go!